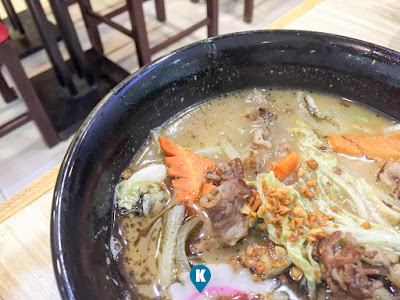 What do you get when you mix a Filipino favorite with Japanese Ramen? You get Oishi Batchoi. We found this one in various areas of the Visayas and its only this time we finally had to dine in one when we were in Roxas City, Capiz. During our visit it was late in the afternoon and it wasn't early dinner just yet, so there were no diners yet. Literally there were none so we had all the place to ourselves except for a few staff who were there. Ordering is not that easy. 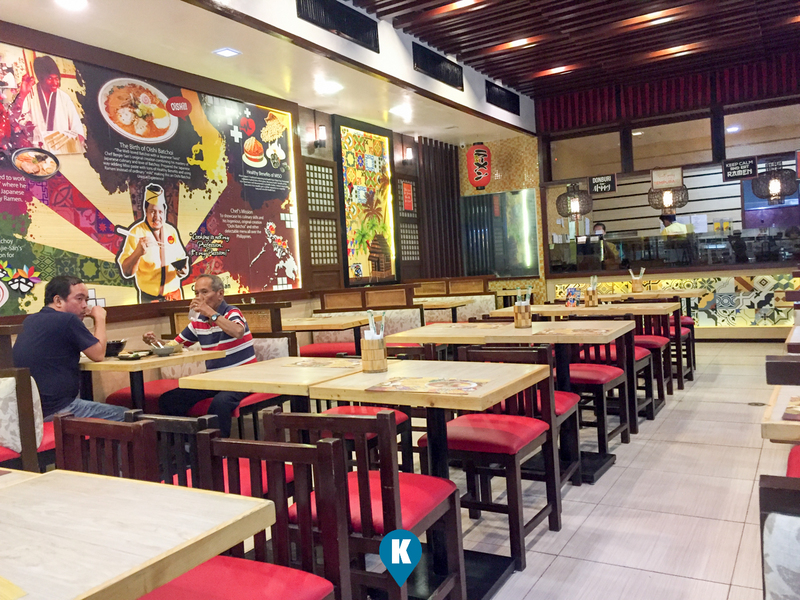 Its not that you can't read the menu, but comprehending the fact will you order a ramen with batchoy will be a delectable journey for you. It took some time for us to decide and decide we did. We added california maki into the mix as well. 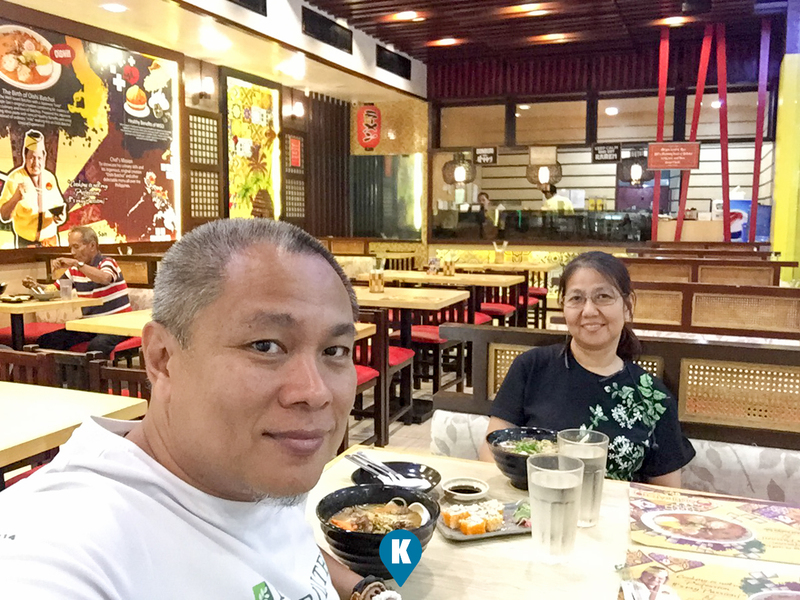 Now, even though there were no diners, our order came a bit longer that we anticipated. I don't know why this was but it was just funny thinking that it did. Now on to the food. Presentation wise, the California Maki has a normal presentation to it, but the ramen wasn't. I thought my ramen was gobbled soup of sorts. The soup was muddy brown and something not appealing to us. 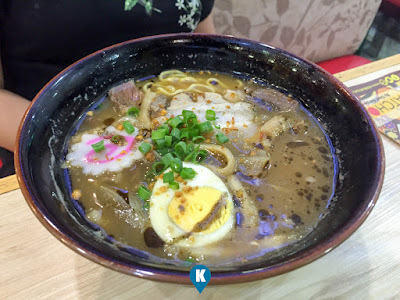 The batchoy might be oily and that oil seems to "float" on top of the ramen soup. I was not expecting such a sight to be served as I expected more considering this was a ramen, I guess. Serving wise, the bowl was huge and the soup was near to the brim. I wasn't sold on the soup so I was not excited for it. I can't find the ramen underneath so I guess it wasn't that many of a serving which was true. Just minutes of me eating, the noodles were gone. I had only half an egg in our ramen so I was frustrated not seeing the whole of it. Taste wise, the batchoy was oily and immediately I was not expecting a lot from it. Call me a batchoy kill joy, I am not a fan of batchoy. I can only call on a few restaurants that serve good ones of it and this one wasn't one of them. You add it with the ramen noodles, I thought it would taste like the Pares Mami I had, but we didn't like the combination with the broth. The Maki wasn't able to save our dinner experience either. 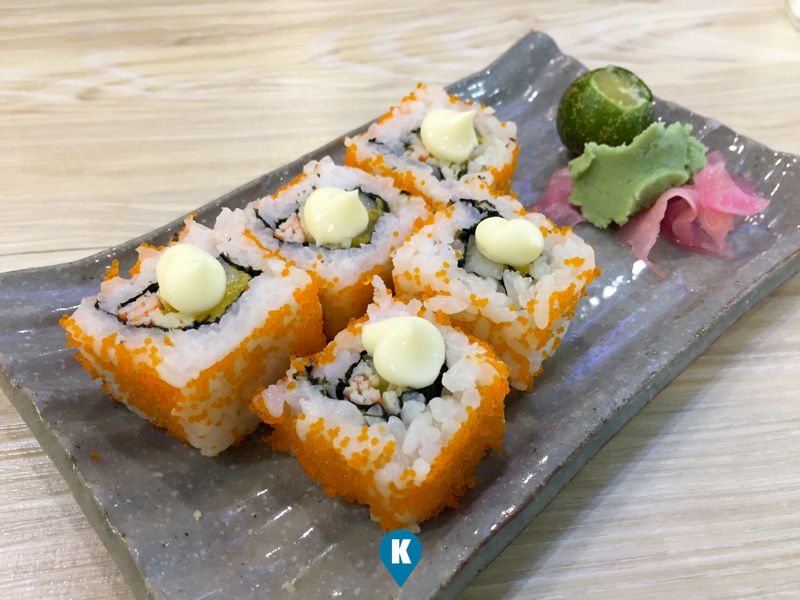 It was California Maki alright but there's something in it that made it funny tasting for us. Nevertheless it was much of a frustration compared to the ramen we had. Price wise, I forgot how mucht the exact amount for it but I can remember it wasn't cheap. Ramen prices isn't cheap and this one ranks along with the ramen shops we've been. Considering the price, I expected a bit more and I wasn't able to get that satisfaction I would like from my ramen. 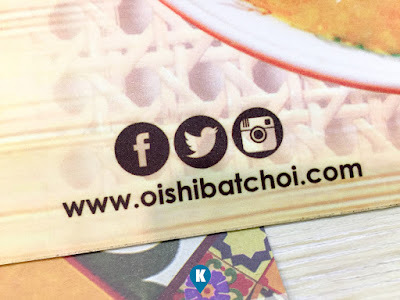 I do hope that one day I may blindly love batchoy and simply accept how they serve their Oishi Batchoi or they tweak it somehow and do away with that oily stuff that floats, and maybe do some changes in the presentation.